The situation. My daughter has a very long dress that isn’t working for her or for me. I say ‘or me’ because she asked if I wanted it to wear. I tried it on. I felt overpowered by the skirt. The long dress is not only long, but also has a top that doesn’t work well for either one of us. 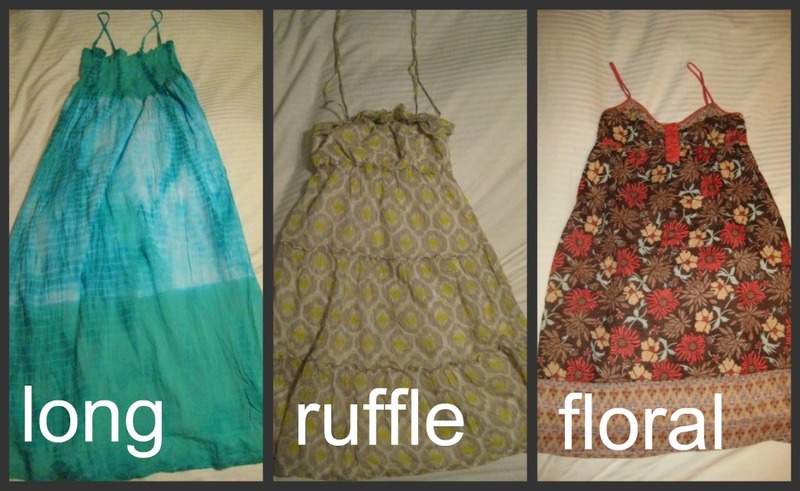 I already own two shorter dresses, one with ruffles and one with a floral pattern — all three use the same cotton fabric. 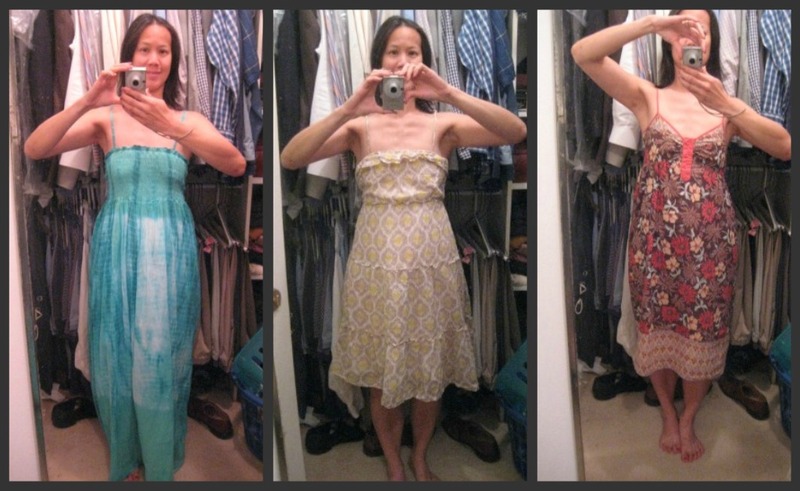 My current idea is to chop off the elastic smocking from the long dress and turn it into a shorter dress that would work for me. Or her. This entry was posted in crafting, frugal family and tagged sewing. Bookmark the permalink. I like the way the skirt of the ruffled dress fits the best. I’d use that as your pattern.